How can you negotiate with a hospital? How can you obtain fair and consistent reference pricing that they cannot refute? How can you decipher complicated medical bills? Watch This Video. 24 minutes. What about medical tourism? Or how can you get competitive bids online, or from other practitioners that they cant argue with? How will they try to trip you up, and what will happen to YOU if you don't outsmart them? If you pursue low cost health care, are you setting yourself up for poor quality, and perhaps unintended outcomes? Its true that "Bad Health Care" is a real issue in the US, but cost is not the cause. The stats are pretty clear. 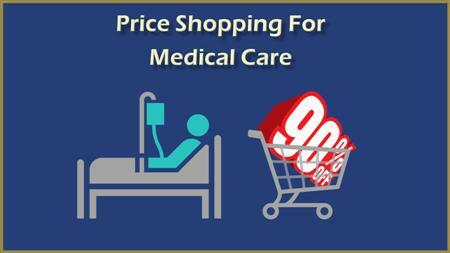 You can shop for healthcare, get better results and come out ahead financially. Learn How.